Hard rock guitarists in late middle-age tend to reinvent themselves as bluesmen, country singers, devotional artists or New Age/Ambient artists. 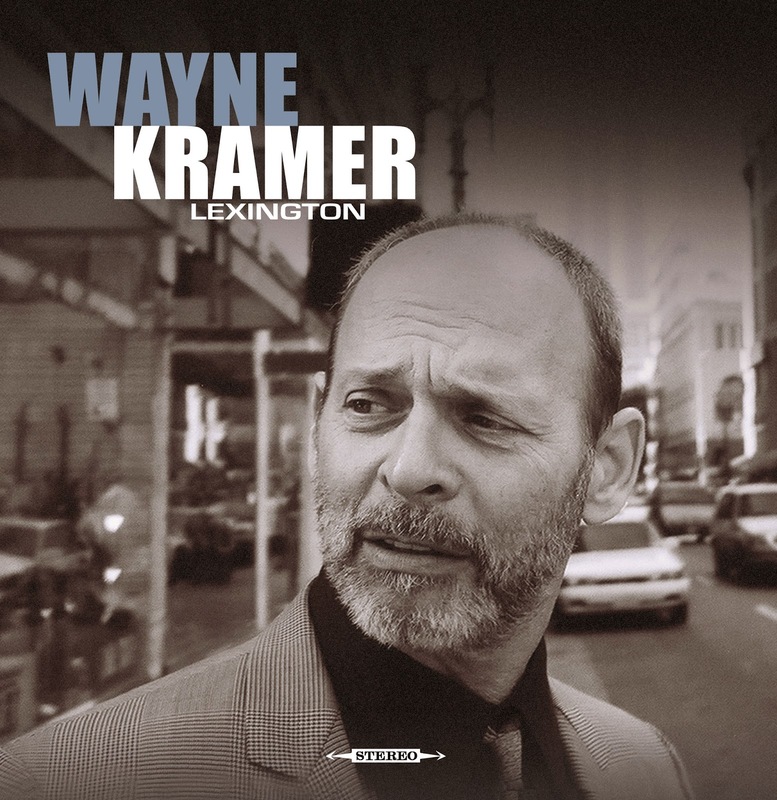 Wayne Kramer has always gone his own way, and his reinvention/reincarnation is unique. Here we have Lexington, one of the damndest free-jazz albums since forever. Brother Wayne Kramer of Detroit, Michigan has had a storied, variegated, somewhat bizarre career. First coming to prominence with (and still best known for) his stint as one of the founders and leaders of the MC5, Kramer has explored revolutionary propaganda rock, punk and free jazz over the last fifty years. Lexington, Kramer’s first solo album since 2002’s Adult World, is the culmination of his free jazz work, first heard in the MC5’s cover of Sun Ra’s “Starship” on their 1969 debut Kick Out The Jams. The title of this collection comes from the United States Federal Correction Center in Lexington, Kentucky. “Lexington” served as the US prison system’s facility for rehabilitation of drug offenders, and Kramer did time there in the 1970’s. During this period Brother Wayne met and played with jazz trumpet legend Red Rodney, an experience he found formative (documented on Adult World’s “Red Arrow”). Lexington opens with “Chasing a Fire Engine”. A big-bandish horn riff leads into a tense chromatic climb then to a duel between guitar and tenor sax. Which is the fire engine and which is the chaser? This piece reminds me of Ian MacDonald-era King Crimson, especially tunes like “Pictures of a City” or “21st Century Schizoid Man”. Sorry, Peter Cetera fans, but Chicago this ain’t. “ARC” is a film-noirish shuffle/hustle groove, reminiscent of Wayne’s funky rap “Citizen of Time”. An Ornette-Cherry head with Monkish piano. Fans of Ornette’s Prime Time band will like this. “13th Hour” could be the soundtrack to sitting in a Times Square coffee shop with William Burroughs, waiting for the man. Tigran Hamasyan is a nice surprise, his unusual playing leads to Wayne’s defeated atonal guitar. “Burning Freeze” – Driving drums lead into chunky big band chords, then Hamasyan’s tasty piano moves through swing into moody freejazz and back to the band. Is the title a reference to drug withdrawal? This one grows on you. “The Wayne in Spain” – Wayne invents Kramenco! Hurst’s arco bass figure develops into a piano-based fusion lick under Coltrane-y tenor and then Kramer’s flamenco solo leads to a bullfighter’s duel in which his guitar wraps the horn section in barbed wire and draws blood. …this gets the award for Piece of Music Most Unlike Anything You’ve Heard This Year. “Elvin’s Blues” – If hell were a cocktail lounge, this would be the organ music…nice electric bass from Lunn and muted trumpet from Dr. Moore, but doesn’t quite gel overall. “Taking The Cure” – Wayne spars with Hamasyan on a bluesy shuffle that cries out for a Tom Waits vocal overdub. Short and sweet. Kramer’s work since prison has focused on clear-eyed commentary and positive uplift. 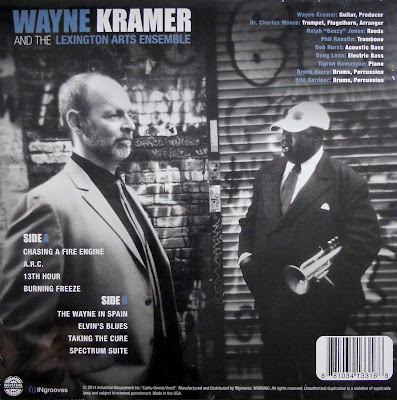 From the righteous redemptive anger of The Hard Stuff, to the hippity-hoppity this-is-the-way-we-live expiation of Citizen Wayne to the DKT/MC5 revisiting of his classic tunes, Kramer has always been about, in his words, “doing the work”. Pay a visit to Lexington. Blood and guts man, blood and guts. Here's a link to 4 videos on Wayne's website describing the making of "Lexington"...great stuff!